Sarah, Evan, and I had the opportunity to go to her parents’ place for the Easter holiday weekend. 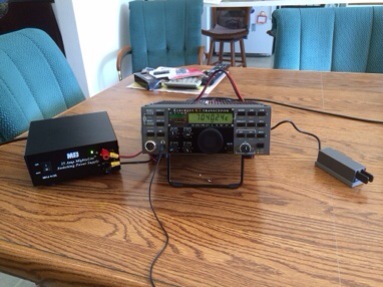 Since the trip coincided with the Michigan QSO Party, I decided this might be a good test of the portability of the K2. Unfortunately, I was unable to operate much longer than a half hour but I had some fun on 40 meters and tried out N3WG’s (Pignology) HamLog for logging. Neat stuff.